Donald canard. Donald canard. 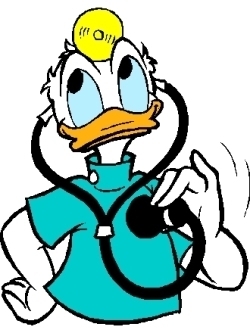 Wallpaper and background images in the Donald canard club tagged: donald duck disney cartoon character. He wants to be sure he's fine ! I will stay with my doctor ! I don't know why but best choice for me ! Because this doctor will give us anger pills !